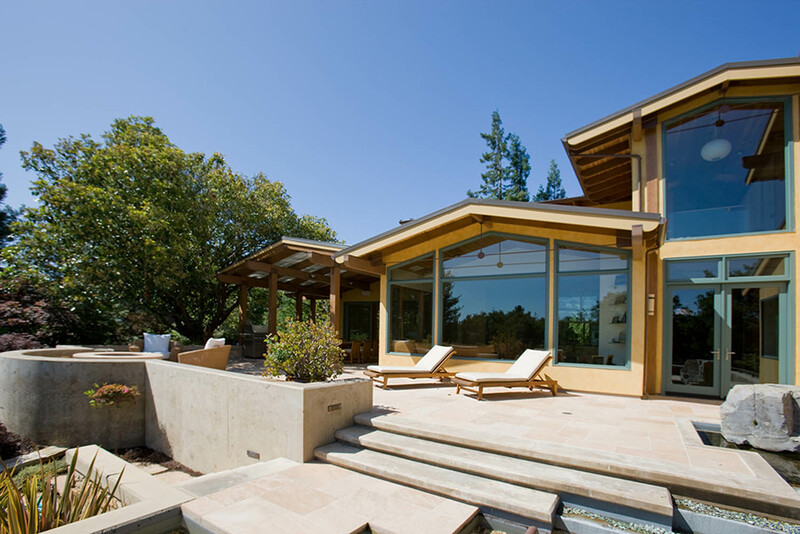 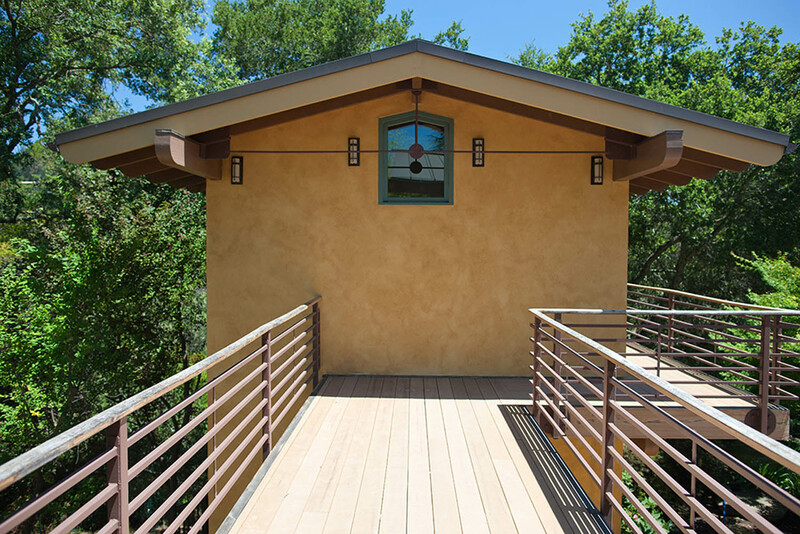 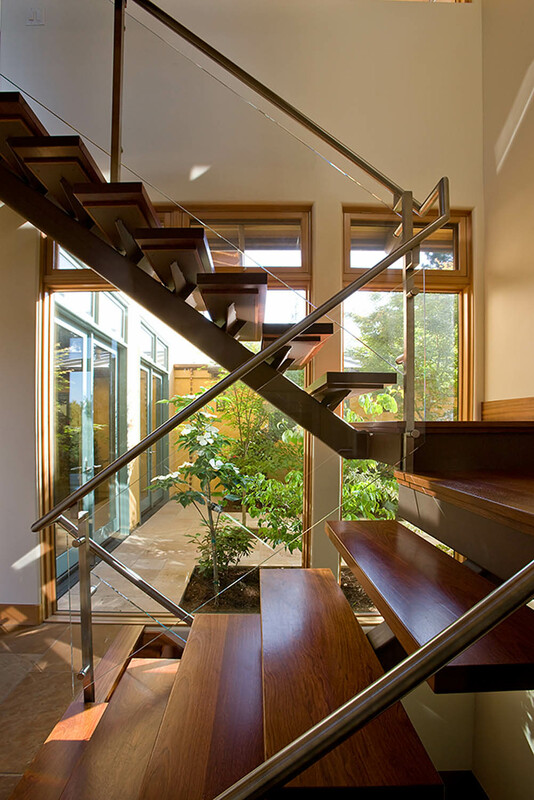 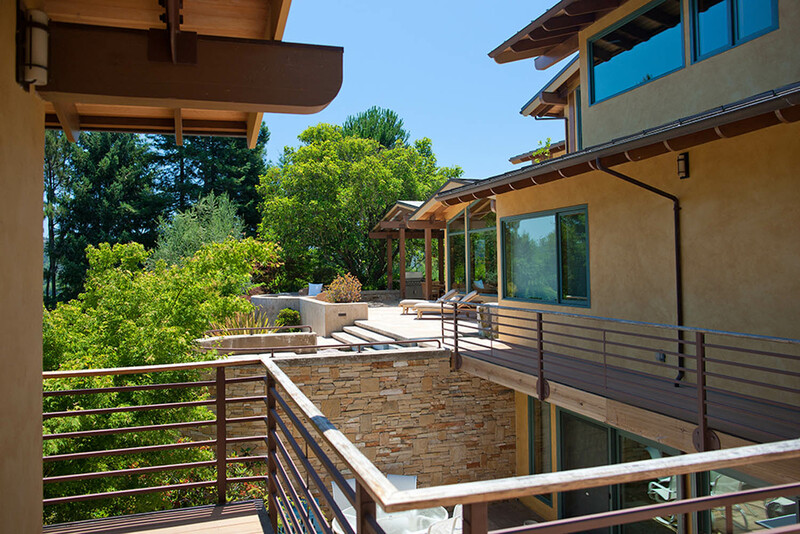 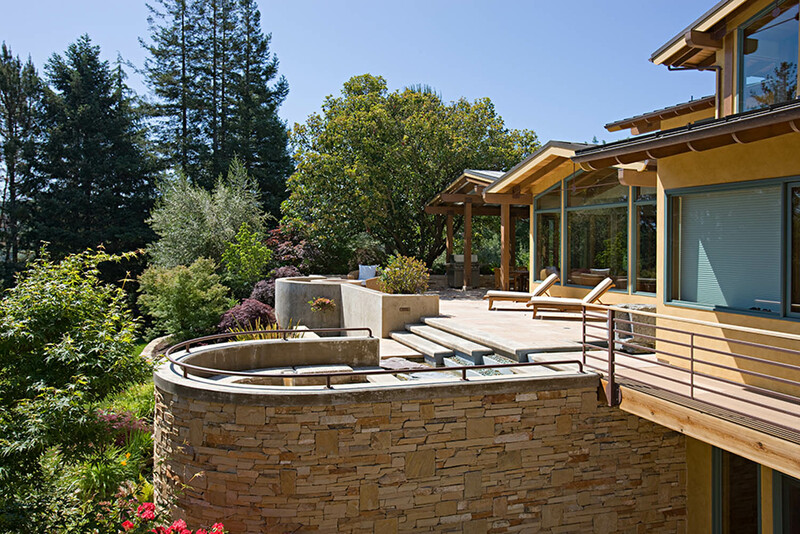 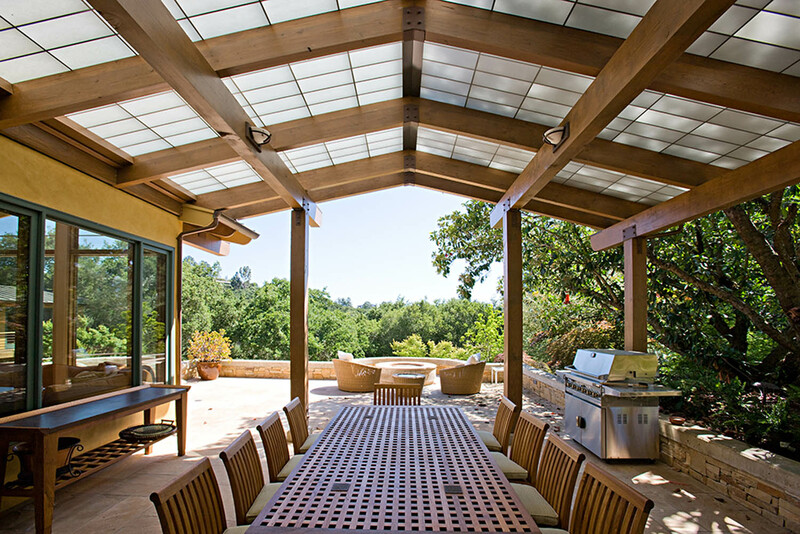 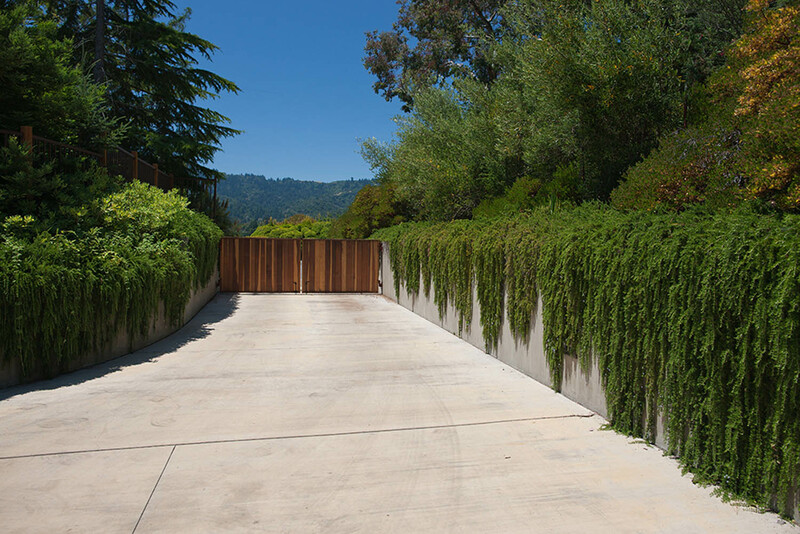 This project was designed to afford the third floor master bedroom with a view of the western hillside, the main floor eastern views of the Bay Area, and natural daylight to the partial basement that opens up to a lower yard. 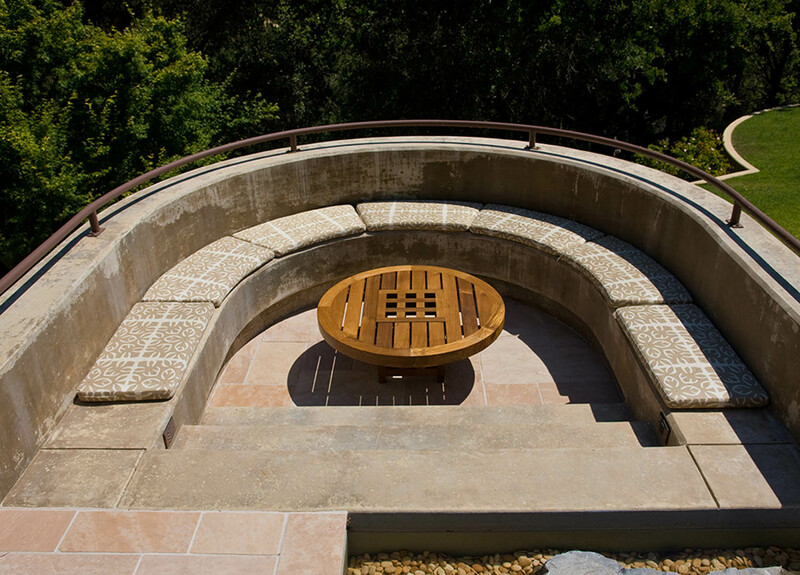 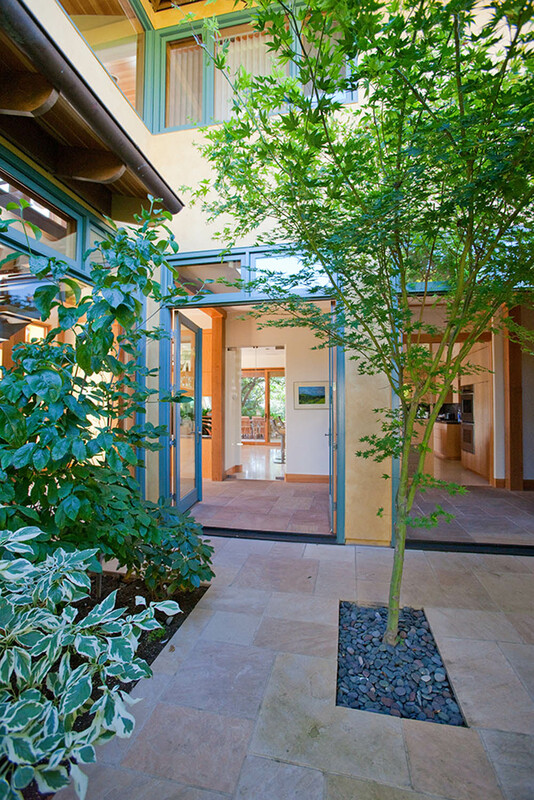 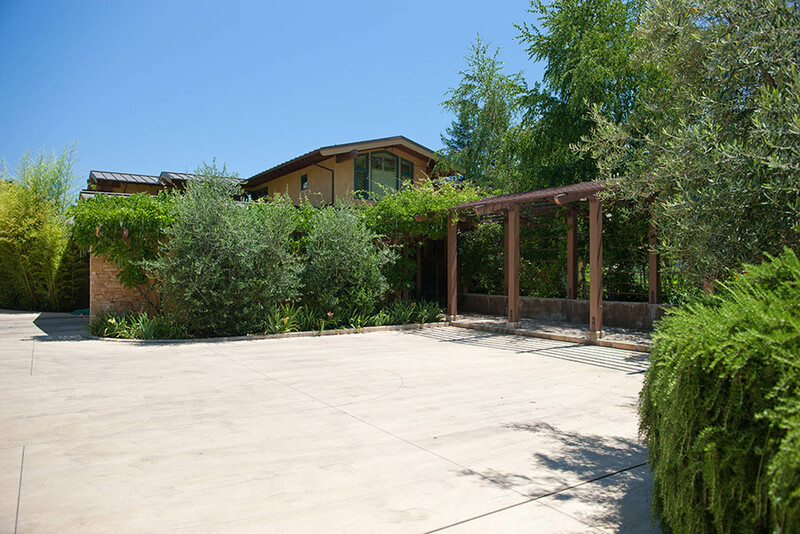 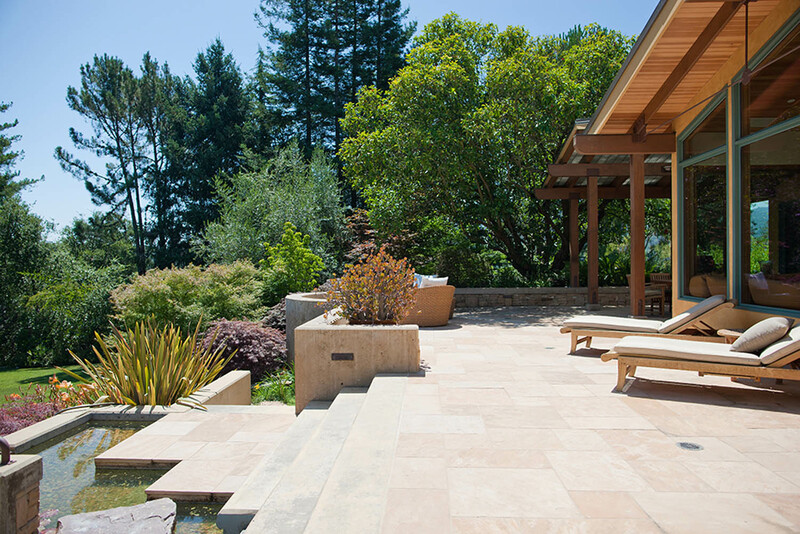 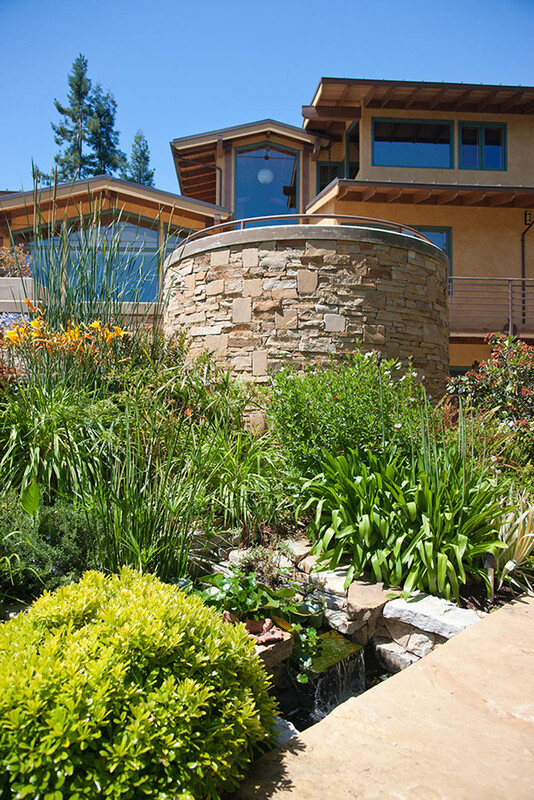 Extensive patios and water features flow downhill from living spaces to the lawn area. 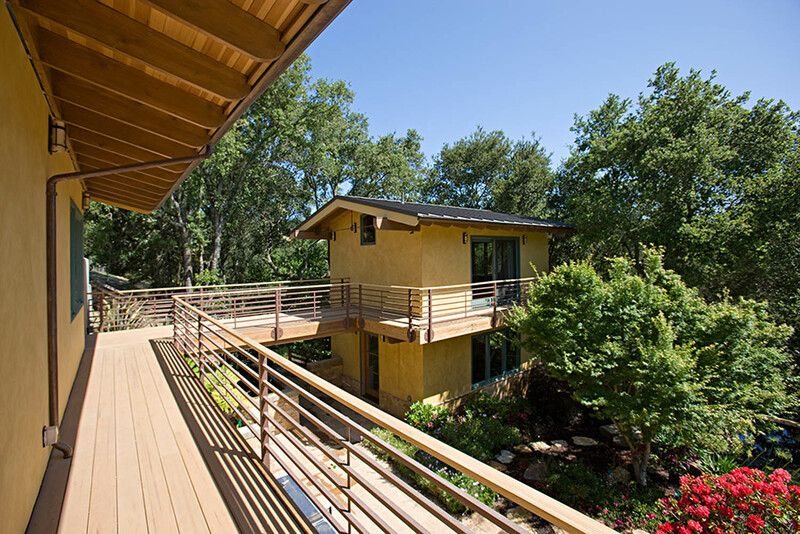 A guest house and exercise room are attached by elevated bridge to the main house.